True change and self-transformation is difficult. There are the unforeseen life events that are thrown upon us like a cross-jab from Mohammed Ali, which force us to adapt or die, and there is the type of change we choose, a change to better ourselves. The beginning of each new year gives us the illusion of hope, promise, intention and purpose. At the start of each new calendar year, even the ancient Romans resolved to further themselves, minimize flaws, relinquish bad habits and embrace new healthy habits. In today’s terms, a simple jump from 2018 to 2019 is a powerful time for self-motivation. In the fashion world, change comes every season. Some trends stick and, some, just like resolutions, die within the first few months. Each fashion cycle brings consumers new colors, silhouettes and styles, and, like real change, the new trends push us out of our comfort zones and force us to think and be different. There is a quaint boutique tucked away in Lakeview off the expanding retail thoroughfare of Harrison Avenue. FINI Boutique opened in 2010, and the store has undergone some major changes over the years. 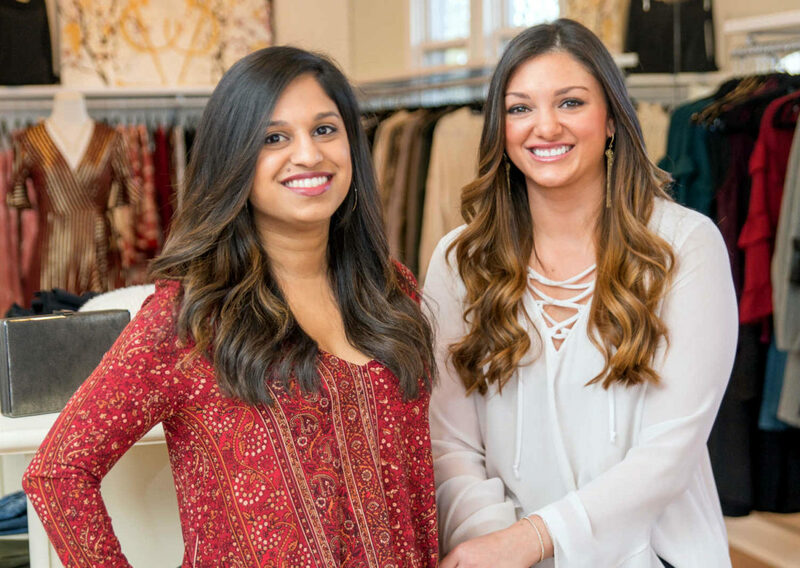 However, the owners, Danni Perez Kuruda and Natasha Mattappally, could not be more pleased with how far FINI Boutique has come. The name FINI, according to the two owners, stems from the idea of a one-stop shop. “The store awards customers the opportunity to shop for clothing and accessories, get a spray tan or have their makeup done for an event, and even get documents notarized,” Kuruda says, laughing. Kuruda and Mattappally attended law school years ago and have been best friends since. FINI, like ALG Style, embraces a fresh start and a clean slate for 2019. “We try to reflect on what we are grateful for, learn from our mistakes and plan ahead,” Kuruda says. The best part about fashion is that it is ever-evolving and constantly shifting. If you do not like the trend, it’s like the weather — be patient, because, as a new season approaches, new fashions are on the horizon. Transitions and transformations in our lives are inevitable. Sometimes we need a bit of assistance from a friend who can see the bigger picture and guide us in making change less daunting. “We have clients that walk in FINI who may have just had a baby, gained or lost some weight, or are frustrated with their current wardrobe,” Kuruda says. Each of the owners wants FINI to be an environment where shoppers feel instantly welcome and comfortable. Shopping at a small boutique can sometimes be overwhelming. “We strive to style our customers with pieces that they love and that will work for their lifestyle,” Kuruda adds. In this age of fast-fashion and online shopping, Kuruda and Mattappally recognize that you have to craft an experience in which customers want to come back into the store. Retail today is about engaging and involving the customers beyond the merchandise. FINI’s high-quality inventory is affordable, thereby encouraging repeat business. Besides creating a positive atmosphere, Kuruda and Mattappally have branched out to do more personalized events as well as hosting shopping experiences outside of the store. “We have girls’ night out where ladies can come in after hours to eat, drink and shop,” Kuruda says. The duo also brings their fashions to your home or business for private shopping parties and appointments. ALG welcomes the changes that 2019 has in store. With the New Year, we look forward to new opportunities and, quite honestly, all the new fashions we get to try. Happy New Year and happy shopping!